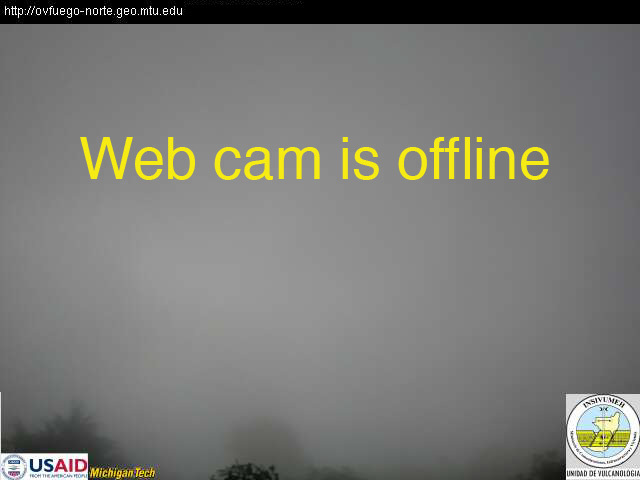 There are two webcams at Fuego. 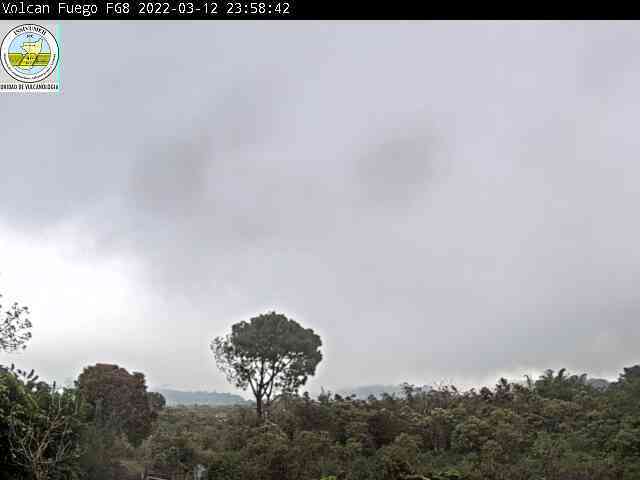 One camera is located at INSIVUMEH's Fuego Observatory in Panimache, Chimaltenango, Guatemala about 7 km southwest of the summit of Fuego. The other camera is located at La Reunion Golf Resort, about 7 km southeast of the summit. The OVFGO camera is in need of repair and offline. The images are updated every minute. Note that all times are UTC (local time plus 6). Fuego is a stratovolcano in the Central American volcanic arc that erupts crystal-rich lavas of basalt to basaltic-andesite composition. It has been continuously active since 1999. Typical activity includes dozens of small-scale explosive eruptions each day. Fuego is monitored by the Instituto Nacional de Sismología, Vulcanología, Meteorología e and Hidrología (INSIVUMEH). In addition to volcano observatories, INSIVUMEH maintains a network of seismograph stations near the active volcanoes. For the latest webicorder plots from INSIVUMEH, click here. The Fuego station is called FG3. For the latest volcano activity status from INSIVUMEH, click here.